When you watch or read a detective or a horror story, there's always an invisible line of stupidity that the protagonist/detective/meat puppet cannot cross before you stop wanting to suspend your disbelief. South Korean horror-mystery hybrid "The Wailing" crosses that line several times, but somehow remains effectively atmospheric. This sounds like an impossible task given how oafish Sergeant Jong-gu (Do Won Kwak) is throughout his investigation of a mysterious series of infections/deaths that plagues the mountainous village of Gokseong. In his search for answers, Jong-gu does many things that will make you tear your hair out. The same is thankfully not true of writer/director Hong-jin Na ("The Yellow Sea," "The Chaser") and his tendency of overdoing everything. There are no small melodramatic plot developments in "The Wailing," only a steady stream of major ones. For example: it's always raining in this film (usually thunderstorms, too), and victims are almost always covered in mud, dirt, blood and sweat. Na ruthlessly works viewers over with these shock-and-awe tactics, but he does it so well that I can't really complain given his film's cacophonous, but satisfyingly ambiguous ending. Still, and I repeat this for good measure: "The Wailing" can be very, very dumb. A series of gore-drenched slayings hits home for Jong-gu, a slow-witted cop in a small town, when he discovers that his daughter Hyo-jin (Hwan-hee Kim) has become afflicted by, well, whatever is killing his fellow townsfolk. Jong-gu is, as the first hour or so suggests, completely out of his depth. At this point in the film, Na mines his story for black humor, and wins viewers over by making Jong-gu look like a lovable screw-up. He's confronted with a mountain of bodies, an evil foreigner with a cabin-full of creepy photos, and plague-like omens that manifest in the form of dead ravens, a rock-chucking mute and portentous dreams. This portion of the film is full of implausible plot twists, one of the least interesting things to write about when it comes to horror/mystery movies. After all, so many of the best genre films cannot be held accountable to a strict, literal relationship with reality. Still, there are a lot of things about Jong-gu's investigation that not only make him look rock-stupid, but also make the rest of the film's events look braindead by association. To be fair: there is a supernatural element to the film, and viewers are ultimately left wondering if characters are genuinely being afflicted by something beyond the realm of rational thought. But within the detective/mystery portion of "The Wailing," there are a lot of unanswered questions. For example, Jong-gu is a cop, but he doesn't arrest the above-mentioned Japanese stranger (Jun Kunimura) even after he discovers photographs, and creepy ritual totems littering the stranger's Unabomber-style forest cabin. Nobody oversees Jong-gu's investigation, so nobody tells him how to fact-find or gather evidence. Instead, there's just a bunch of random events spurred on by Jong-gu's anger and curiosity. And it's not just Jong-gu whose actions are questionable. You have to wonder: Why didn't that other character say something? Where did that secondary character disappear to? What's she thinking when he says that? Who's in charge here? That last question is, despite some ludicrous plot developments, the question of the film. It may be that much harder to accept that characters behave in an unbelievable way throughout "The Wailing," especially when faced with perils as dire as a seemingly possessed/heavily afflicted child, and a mountain of corpses. 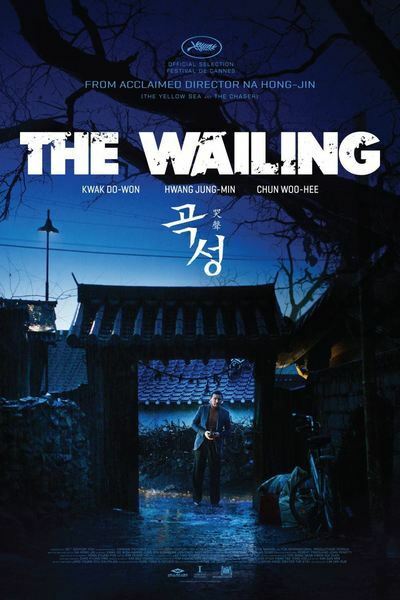 But once the film becomes a demonic-possession-type horror film, "The Wailing" makes a lot more sense. Unlike "The Exorcist," Na's film periodically asks viewers to realize, or at least question, what they would do in the face of such oppressively overwhelming evidence. Jong-gu sees his daughter in pain, and hires a traditional Korean shaman (Jung-min Hwang) to help get rid of her affliction. The scene where the shaman tries to exorcise Hyo-jin is intense, and not just because it's appropriately loud. Na paces and visualizes events with a perceptive eye for detail. He films every scene as if it were a set piece, and makes every plot point feel climactic. You cannot help but feel as worn out as Jong-gu does. It may be impossible to turn off your brain while watching "The Wailing," but that makes the film's visceral charms that much more admirably vexing.